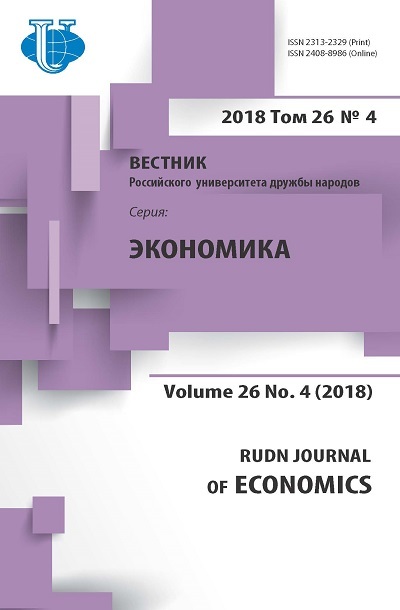 RUDN Journal of Economics is a general-interest economic journal, which publishes papers of theoretical, empirical and practical issues. The goals of the journal are publication of papers of Russian and foreign authors on topical questions of national and world economic development, as well as building-up of academic economic society, increasing of scientific activity of senior and young researchers from Peoples' Friendship University of Russia (PFUR) and other higher institutions. Main audience of the journal – professional economists, high school teachers, post-graduate students, representatives of federal and municipal government bodies as well as business leaders.